ESPN’s Tim Graham is out with his Draft Needs for the AFC East, and here’s his thoughts on what the Dolphins could use in the upcoming NFL Draft. The Dolphins probably will need a running back. They could stand to upgrade at quarterback if they can. But they definitely need interior offensive linemen. They recently re-signed left guard Richie Incognito to an extension, but they still have problems at center and right guard. Although they have two solid book-end tackles in Pro perennial Bowl left tackle Jake Long and veteran Vernon Carey, they’ve been a mess in between for the past three years. The Dolphins need to upgrade their power running game. Despite having a capable and healthy backfield tandem in Ronnie Brown and Ricky Williams last season, the Dolphins ranked 21st in rushing yards, 29th in yards per carry and 29th in rushing touchdowns. A stud running back certainly can help, and the Dolphins might have little choice but to take one with their 15th selection. Brown’s and Williams’ contracts are up. That’s why so many draft analysts project the Dolphins will take Alabama running back Mark Ingram and then address the O-line later. Subscribe to Dolphins Gab via RSS Feed or E-mail and receive daily news updates from us! 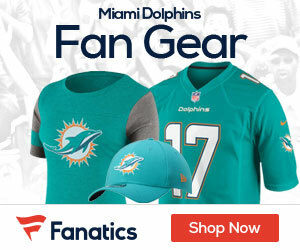 Sign up to receive our daily Dolphins Gab newsletter, and keep up to date with all the latest Miami Dolphins news. Celebrity Seats has all the best Miami Dolphins Tickets, Florida Marlins Tickets, Miami Heat Tickets, and Florida Panthers Tickets!